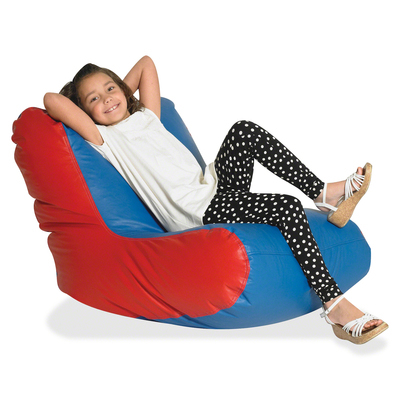 Bean Bag Chair Offers Comfortable Seating For Reading Enjoyment. Vinyl, High-Back Bean Bag Features Double-Stitched Seams And Double Safety Locking Zipper For Increased Safety And Durability. Chair Is Designed For Children Ages 2 And Up..
Bean Bag Chair Offers Comfortable Seating For Reading Enjoyment. Vinyl, High-Back Bean Bag Features Double-Stitched Seams And Double Safety Locking Zipper For Increased Safety And Durability. Chair Is Designed For Children Ages 2 And Up.